Acme Polikoff Business Hotel offers its guests 15 non-smoking business class rooms of different types. 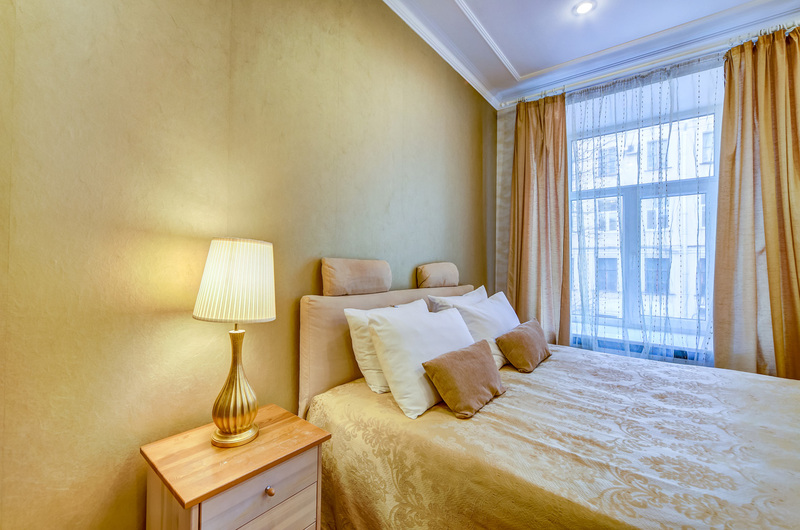 Hotel guests will truly love both its central location at the very heart of historic center of Saint-Petersburg and its well-furnished rooms. Businessmen appreciate its fantastic transport link with all parts of St. Petersburg and sightseers like its close neighbourhood with the main places of interest. The nearest metro station is Gostiny Dvor. Polikoff occupies the 3 rd and 4th floor of a 5-storey building (with an elevator), and the entrance is from Karavannaya street. The windows face the traditional Petersburg inner cortyard which allows the hotel to maintain the cosiness of quiet rooms combined with the very central location. 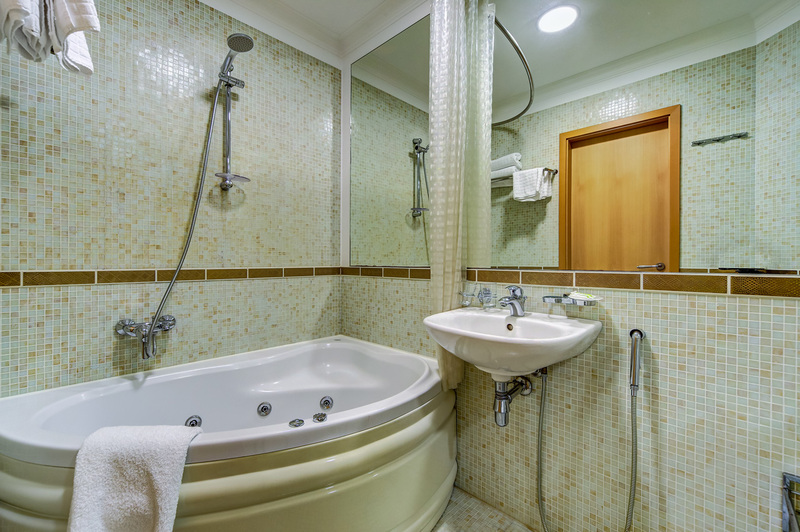 2 Suite room with twin/double beds (25 m sq). The spacious and light rooms are made in the classic style in a pleasant color scheme. Each room features a wealth of amenities: elegant furnishings, double/ twin beds (upon request), desk, floor-lamp, reading light, safe, individually-controlled air conditioning system, direct dial telephone, TV-set, ensuite bathroom (shower cubicle, washbasin, toilet, hair-dryer), WI-FI internet connection (free) and toiletries’ set. The hotel prides itself on being a strictly non-smoking establishment. 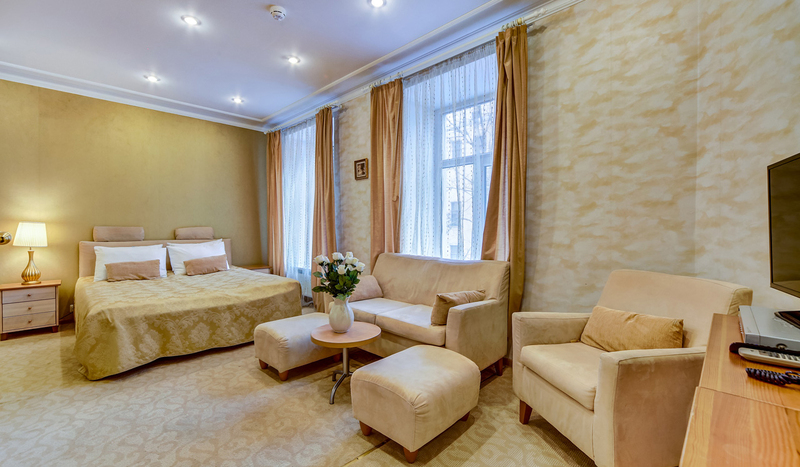 Extra bed is available in Deluxe and Suite rooms for 900 rubles per night. The “Acme” hotel prides itself on being a strictly non-smoking establishment. Fresh linen, fluffy towels and delicious breakfast are included in the room price. 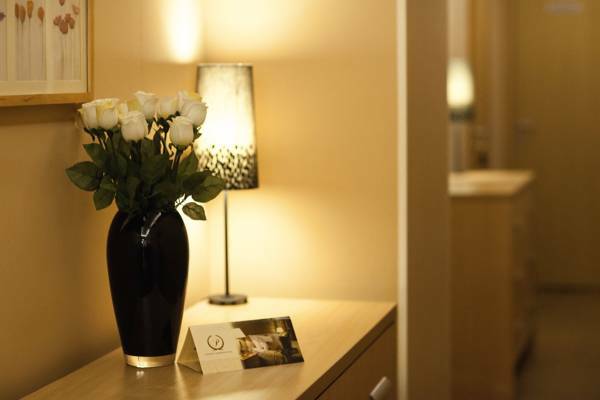 Comfortable and spacious rooms, modern décor and friendly multilingual staff of Polikoff hotel will impress its guests. 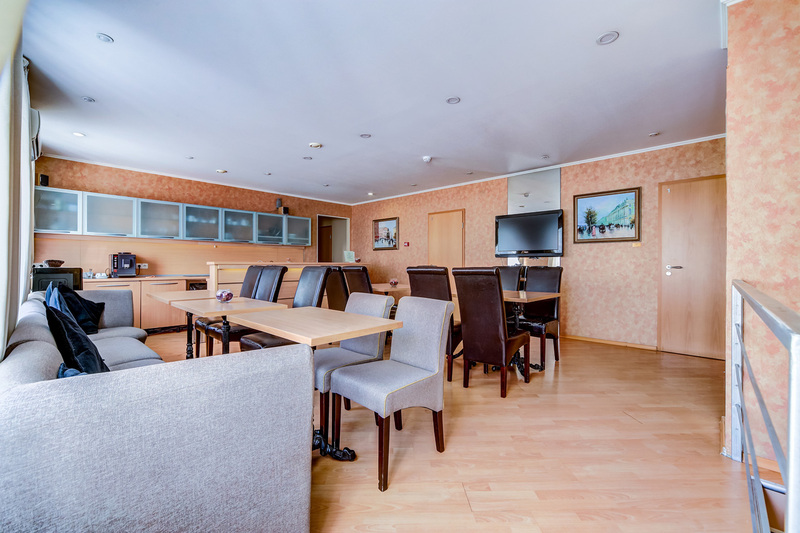 We’ll make your accommodation in St Petersburg interesting and memorable! 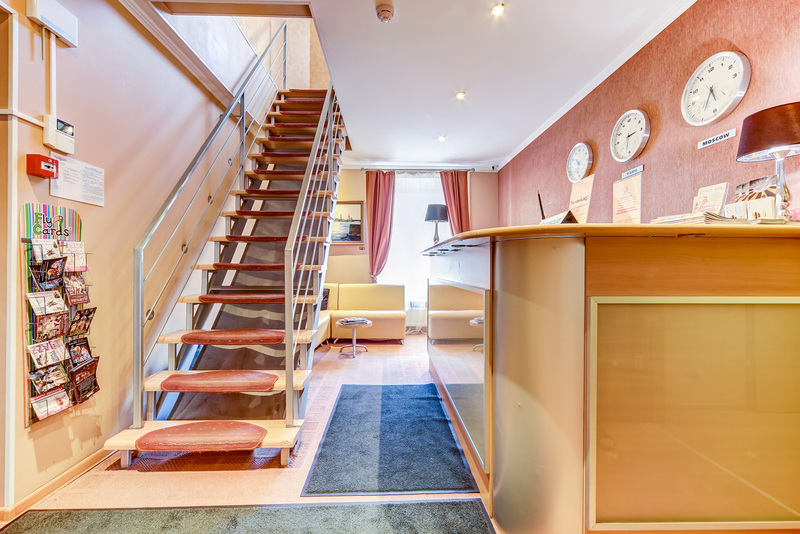 Polikoff Business Hotel hotel offers its guests a wide and elegant Suite room.